Stupid uses of the word tactical. Too many products are labeled tactical and painted black. I admit when I decided I wanted one of these scarfs it was because of the military association. Not because I thought it would help me hunt terrorists better, you know something I do everyday, but more to show association and support. 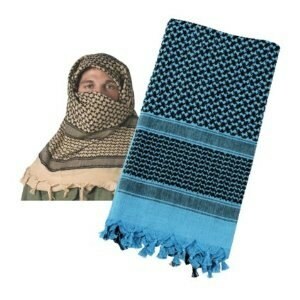 So I googled Shemagh Scarf and discovered it is “Tactical”. The fact it is just the Arab equivalent of a bandana doesn’t stop it from being labeled tactical. Plus I have cool idea to use it in a photoshoot. For the military office worker. When you need to carry your laptop in a bag that helps with actions carefully planned to gain a specific military end, you need this stuff. I actually like 5.11 Tactical stuff. Some of my favorite EMS pants are 5.11 pants. I was on their site to buy a $200+ hi-vis coat – the opposite to tactical and twice as useful – and saw this category. It was the straw the broke the camel’s back and what started this category. I can’t take it any more. I am sooo tired of the word tactical being slapped on everything. So I’ve started a new category on the blog to post crazy uses of the word tactical. 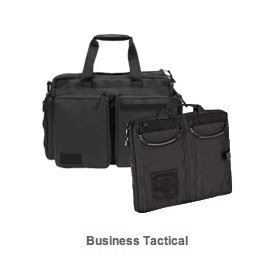 I also love the idea that if it is tactical it has to be black. I call it the “paint it black” taticool. of, relating to, or constituting actions carefully planned to gain a specific military end: as a tactical officer in the field he had no equal. â€¢ (of bombing or weapons) done or for use in immediate support of military or naval operations. Often contrasted with strategic. â€¢ (of a person or their actions) showing adroit planning; aiming at an end beyond the immediate action: in a tactical retreat, she moved into a hotel with her daughters.